As a web worker, I have clients who are always looking for new and more affordable ways to market what they do. I’m also faced with the constant need to better promote what I’m doing to continue to grow my business. The landscape on the web is undergoing a deep and vast transformation because of social media, and it is affecting the way we market what we do. Public relations will never be the same. Two years ago, a company called Shift Communications introduced the concept of social media releases that incorporated social networks, microblogs, audio and video elements into text releases. A year later, they expanded their concept to include social media newsrooms, spiffing up the traditional text-heavy online newsroom with more multimedia bells and whistles. PitchEngine is a freemium Web app and hosting service that helps non-techies – and even non-PR-types – to build their own social media releases and social media newsrooms. I’ve been exploring PitchEngine lately as a tool for both my clients and my own company. 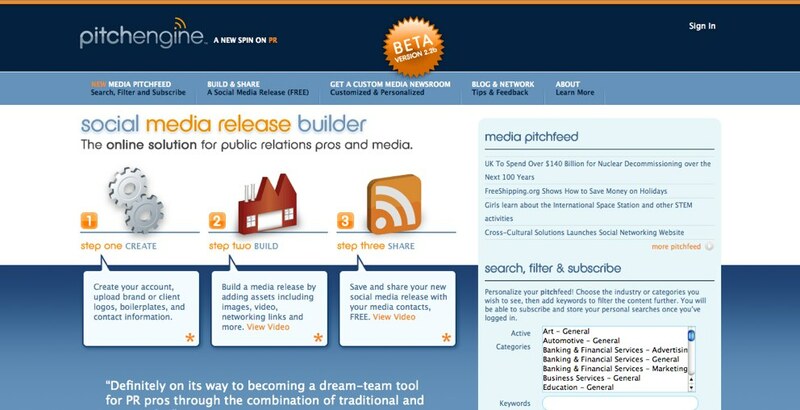 PitchEngine elegantly automates the creation of social media press releases and social media newsrooms. The creator of PitchEngine, Wyoming-based marketer Jason Kintzler, really “gets it.” He’s an avid social media fan, a brand manager for a popular outdoors products company Brunton, and leader of the Pitch Engine Ning group where “PR meets social media.” He’s in the thick of the conversation about how consumers are carrying the marketing conversations these days, and PR people need to come to the conversation in smart ways or get left behind. PitchEngine is first and foremost for the person who wants to build a social media release but doesn’t have the technical skills. You can create as many brand accounts as you want for free. Brands represent you or your clients and projects. Building a social media release includes integrating a company’s Twitter account, Facebook, LinkedIn, etc., as well as easily embedding audio and video. 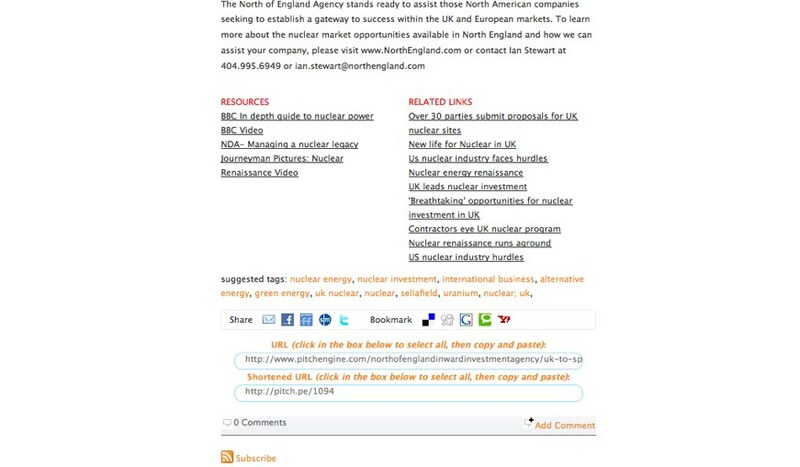 The finished product has all the links and elements easily accessible in and around the main press release text. The release is hosted for free for 30 days and then expires and is no longer available which is a suitable duration for an effective PR campaign, however, also an incentive to purchase a subscription for a more permanent social media newsroom. Even with the 30-day limit, PitchEngine is also a helpful press release distribution tool. Kintzler is about to announce that Google News is now picking up releases going through their system which gives the free service great reach and online PR cred. The PitchEngine system makes it incredibly easy to distribute your press release into your account on top social media sites including Twitter and Facebook. Kintzler recently introduced an editable Twitter submission form because he understands that submitting press releases to a conversational community such as Twitter could be considered spam. Instead of just linking to the release, you can modify your message to make it less commercial and more relevant to the conversation. Media types can use PitchEngine entirely for free and perform filtered searches for topic areas of interest. They can also sign up for free RSS feeds to continue to monitor for press releases on the topics of their choice. Social media press releases are free and hosted for 30 days but long-term hosting is available for a subscription of $50 per month or $600 per year in a social media newsroom. 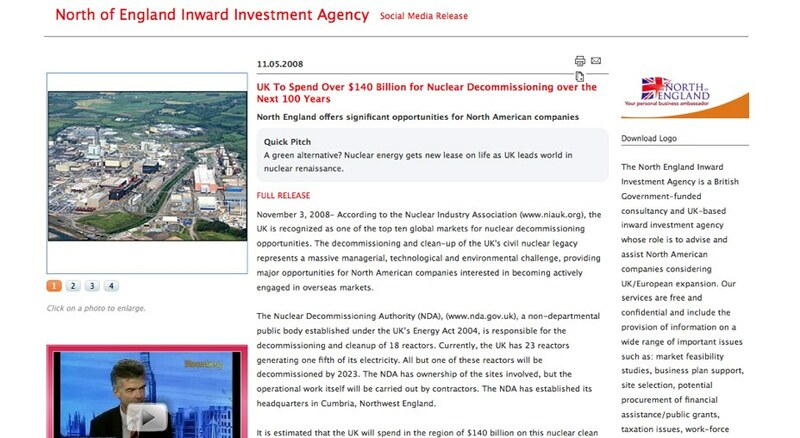 Companies, organizations and individuals can link directly to their social media releases or newsrooms on PitchEngine’s site (such as this newsroom for Brunton) or bring the social media release feed into their web site (like Gerber Gear does). If you consider that a single press release sent through a popular wire service such PR Newswire or Business Wire costs $400+ for a single release, this is a phenomenal deal. Sure, the biggie PR wire services will probably step up as competitors to PitchEngine in the near future but they won’t be able to be as social media savvy, nimble nor as affordable as Kintzler’s venture. There has also been a recent backlash regarding using social media for marketing and public relations as there is bound to be with the adoption of any social platform for commercial purposes. The conversation about social media marketing has only just begun. How do you feel about using social networks and tools like PitchEngine to market directly to consumers? I have been blogging for 4 months and promoting a blog on different social media sites is a big time consumer. Came across the term “Social Media News Room” today. This is what I want. Though don’t have the money to pay for it. I havn’t even got my own domain name yet.I wud definitely try pitchengine’s free version. Pitchengine, especially now that releases are being indexed by Gooogle, is a great way to improve brand visibility, SEO strength and authority and to simply get the word out about a product, service or event. I have watched PE consistently improve a product that is now easily on a par with PR Web or Bizwire and is incredibly cheaper. Coming improvements on PE will make it, easily, the best SM tool for agencies, SEO pros and organizations with internal PR teams who know how to leverage a digital release. Savvy clients are asking us whether posts to SN’s are enough, and in fact if traditional print media rules still apply. In other words, do clients need to consider online ads in conjunction with blog story placement? I’m a partner in a Silicon Valley PR firm that is heavily into social media. We don’t use PitchEngine or social media press releases. We do integrate our efforts into SEO campaigns. I’m not sure how effective PitchEngine and social media releases are in general. I did an analysis of how Google does product launches. IMO, they’re the state of the art in social media activities. Sixty days after the launch of Google Chrome, they have 450,000 independent blog posts about Chrome. They’re not getting this from something as simple as Pitch Engine or a social media press release. They’re getting this from straightforward information creation and distribution. They do have an online press room. However, I don’t think this is the key to their success. Give my analysis below a quick read and let me know your thoughts.